The Paleontology Research Laboratory is a glass-walled science lab housed in the Nature Research Center wing of the NC Museum of Natural Sciences and jointly supported by a partnership with North Carolina State University. The on-exhibit lab serves as a new model for 21st century museum science, synthesizing active paleontological research, fieldwork, and citizen science, with graduate and undergraduate student training, K-12 education, teacher treks, and science communication efforts including the lab’s real-time social media platform, Expedition Live!—all on display in front of museum visitors. The head, Dr. Lindsay Zanno, supervises the lab's research focus, technical goals, and graduate program. Zanno Lab staff and students use comparative phylogenetic methods coupled with next-generation visualization approaches to reconstruct the evolutionary history of Archosauria—the dominant terrestrial megafauna of the Mesozoic Era—including birds, crocodiles, and non-avian dinosaurs. 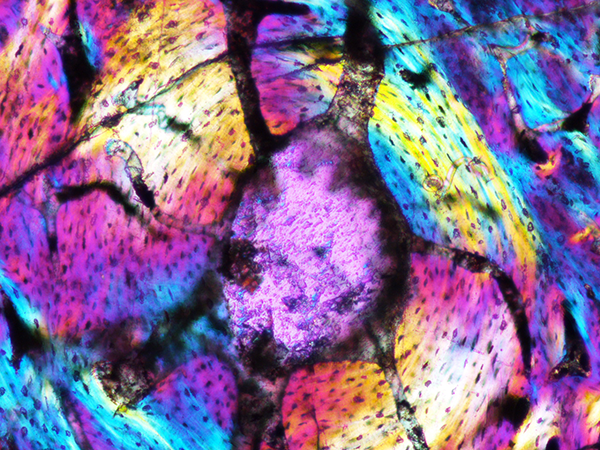 Zanno’s lab integrates a rich fossil record with observations from extant species to tackle complex transitions in dietary ecology, social/sexual selection, and key novelties in archosaur evolution. PGL in-house technical methods include three-dimensional surface scanning/printing, Computed Tomography, geometric morphometrics, paleohistology, and fossil specimen conservation/preparation. The lab also has an active field program aimed at identifying ancient biodiversity, patterns of extinction and speciation, and biogeography in Mesozoic terrestrial ecosystems (Triassic, Jurassic, and Cretaceous). Currently, Zanno’s lab is gathering data on faunal dynamics throughout the Cretaceous of North America—a time of faunal turnover and high diversity linked to global temperature change, sea-level oscillation, and regional tectonics, including the establishment of a transarctic land bridge. 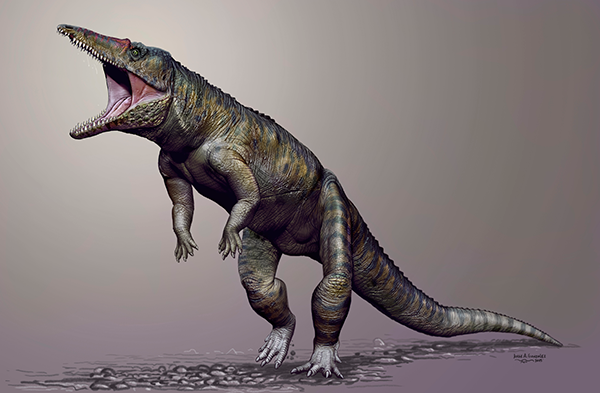 The lab also works on archosaurian evolution during the Triassic, a period of ecological flux that spurred the birth of most living vertebrate clades (e.g., mammals, turtles, lizards) and ultimately resulted in the rise of dinosaurs. You can follow along with our fieldwork in real time at our blogsite http://www.expeditionlive.org or on Twitter @Expeditionlive. Or learn more about the PGL Head’s research program and the paleobiology graduate program at NC State University at https://zannolab.wordpress.com. 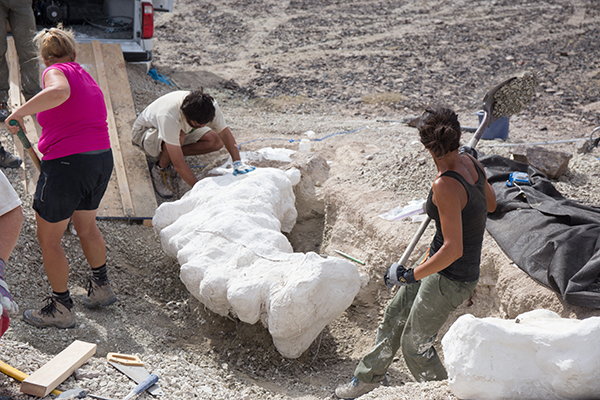 Want to support the Paleontology Research Lab? 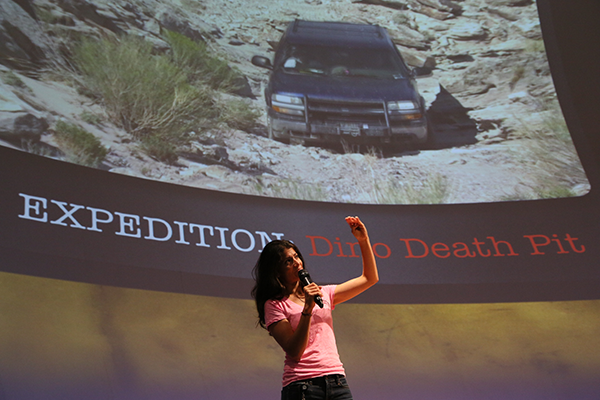 Donate to the Paleontology Research & Expedition Fund. Gifts to this fund directly support paleontological fieldwork and research at the North Carolina Museum of Natural Sciences, under the guidance of PGL Head, Dr. Lindsay Zanno.